Microcontroller family of Atmel AVR 20-nóżkowej housing przewlekanej - DIP. 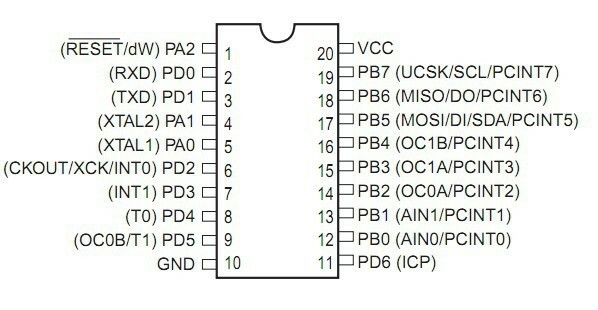 Voltage supply range from 1.8 V to 5.5 V, with a clock signal frequency to 20 MHz, has a 2 KB Flash, 128 B RAM 128 B EEPROM. 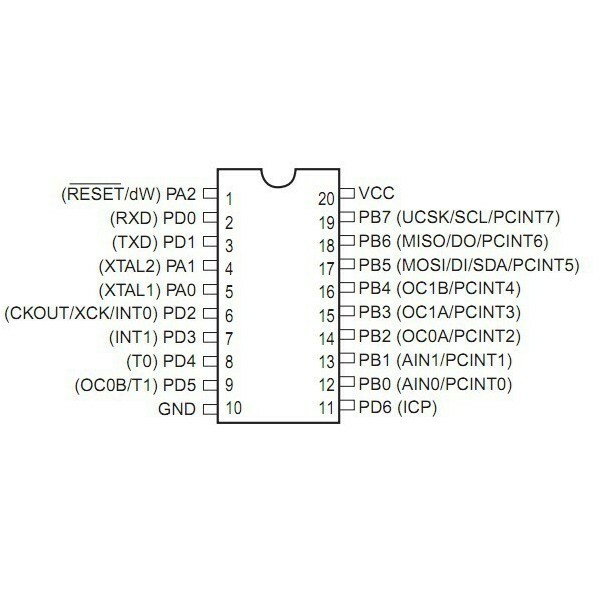 Microcontroller AVR family from Atmel 20-nóżkowej housing lutowanej surface - SMD. Voltage supply range from 1.8 V to 5.5 V with the external clock signal with a frequency up to 20 MHz. Has 2 KB Flash memory, 128 B RAM 128 B EEPROM.